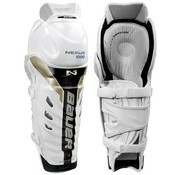 The Bauer Nexus 1000 Hockey Shin Guards are the premier shin guards in Bauer's Nexus line. They offer great protection and comfort for advanced to pro level play. 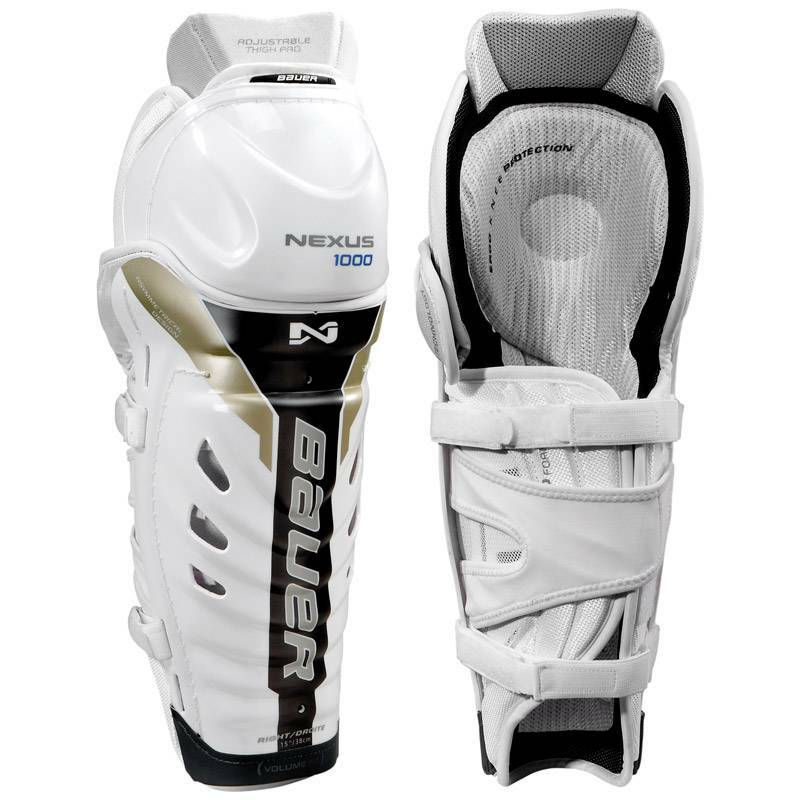 The Nexus 1000 features an anatomical ribbed polyurethane knee cap and shin shell design that helps disperse impacts throughout the shin guard. The shell also has a vented structure that helps increase airflow throughout the pad, and regulates body temperature. Unlike the Nexus 600, the 1000 has lightweight EPP foam with poly inserts in the calf wrap that adds protection against slashes and blocked shots. Also, the calf wrap has a multi-segmented design to add comfort and gives a tight fit on the back of the leg. The liner consists of pro air mesh, with a removable asymmetrical inner liner with Ergo knee protection. 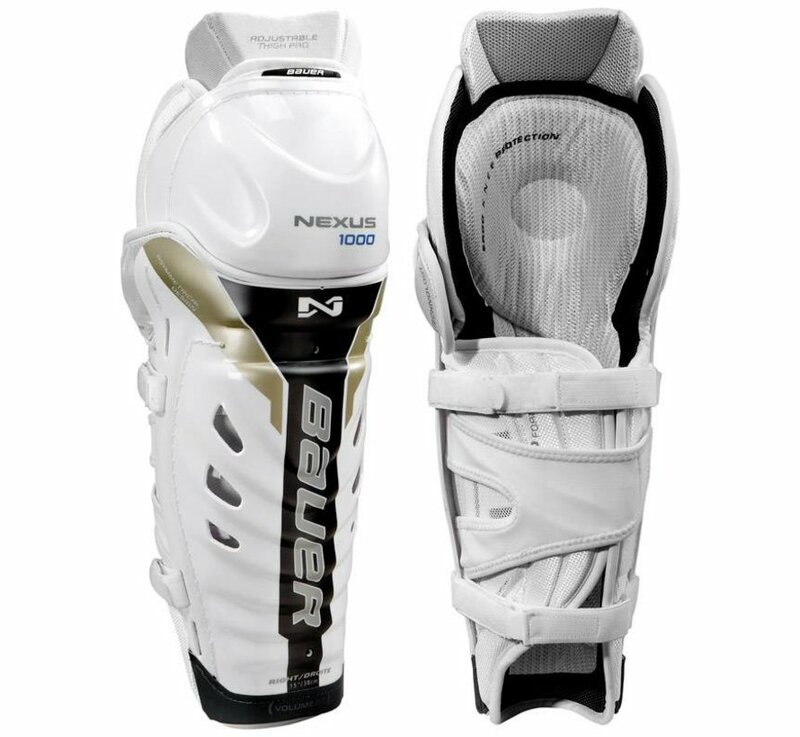 Like the Bauer APX shin guard, the Nexus 1000 features "dome technology" for added joint protection on the side of the knee. The Nexus 1000 has a unique attachment design, with two removable and adjustable 1" velcro straps. You have the option to move the strap higher or lower on the shin guard, giving the player complete customization. 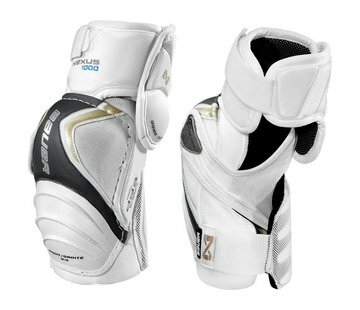 Also, the shin guard has a shin sling that adds comfort and helps keep the pad in place.